The evening of 6 June saw our contribution to the 2018 Wandsworth Heritage Festival – for which this year’s theme was parks and open spaces. 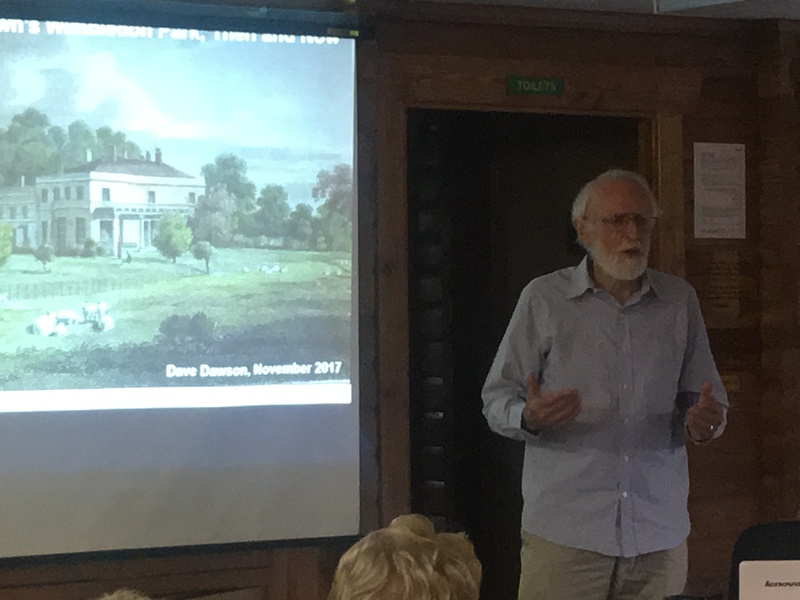 Dave Dawson presented a fascinating talk on the historic landscape around Wimbledon Park. Very little of Capability Brown’s landscape remains, notably the lake, but it used to extend right up to Wimbledon Common. Remnants remain today. For a full report of the talk see the June/July newsletter.